Chicago Cutlery Essentials 15-Piece Knife Set Only $28.86! Head over to Amazon or Walmart.com and get the Chicago Cutlery Essentials 15-Piece Knife Set for as low as $28.86! Chicago Cutlery Essentials Knife Block Set. 7 in Santoku (17.8 cm) is a Japanese style knife used for slicing fish, cutting meat, and chopping vegetables. The hollow oval indents help prevent foods from sticking. 8 in Bread has the serrated, scalloped edge is perfect for cutting loaves of bread with hard crusts. 5 in Partoku (12.7 cm) is a hybrid between the Santoku and Parer, this knife is convenient for slicing fish, cutting meat and chopping vegetables. 4.75 in Utility is an all-purpose, mid-size knife for chopping and cutting larger fruits and vegetables. 4.5 in fruit is, it slice citrus fruits into thin slices without crushing the fragile interior. 3.5 in Parer is a small knife that gives you control to trim and slice small fruits and vegetables. 3 in Peeler, peel round fruits and vegetables such as apples and potatoes. Six 4.5 in steak knives slice cleanly through steaks and chops. Kitchen shears is perfect for cutting meats, trimming fat and opening packaging. Shipping will be free with Amazon Prime or an order of $25 or more in qualifying items. Don’t have Amazon Prime? Get a free 30-day trial! Select Site to Store to avoid shipping charges at Walmart or get FREE shipping with an order of $35 or more. 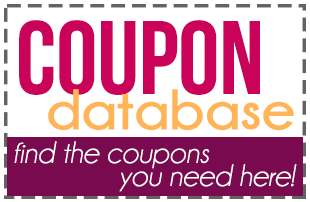 Check out all of the AMAZON deals and WALMART deals on Become a Coupon Queen. It’s not that price ?? 🙁 I was just coming to update the post. Sorry, April!